When it comes to gingerbread cookies I’ve never been that enthusiastic. I don’t think I’ve ever made them at home and successfully made them taste gingery or spicy enough (anyone got tips!?) but gingerbread cake is a whooole different ball game. I love when it has a syrupy, dense texture with a richness almost comparable to a brownie. Last year I created my all time favourite recipe for gingerbread cake in loaf form (it has pumpkin in it which I think is why it’s so ridiculously moist) which I knew I had to put in my book because it’s just so damn moreish. Last week I was ‘commissioned’* by my boyfriend to bake something to bring to the hospital where he’s studying for a staff/patient Christmas party. I knew there would be a lot of people so a loaf cake would not be enough – I’d have to make some sort of towering, quadruple layer cake. Being in a festive mood I had gingerbread on the brain, but my recipe is more of a snacking cake. It’s better for an informal tea-time treat and is way too delicate to withstand all the weight if layered up. Then as I was flicking through April Carter’s new cake book, Decorated, I spotted this beauty. A huge, dark gingerbread layer cake sandwiched together with salted caramel buttercream and drizzled in a sticky layer of caramel sauce. It was meant to be! *I say commissioned, I actually mean that he asked me to help him bake buuut I got carried away and just made it all….oops? April’s book is not only beautiful (I could stare at fancy layer cakes all day) but also incredibly helpful. It’s chock full of cake baking tips with step-by-step photos for leveling, decorating and making cakes. I’m obsessed with it and I want you to be too so I’m giving away a copy of the book! Just follow the instructions in the rafflecopter box below to enter (you may have to click through to my website if you are reading this via a subscription). 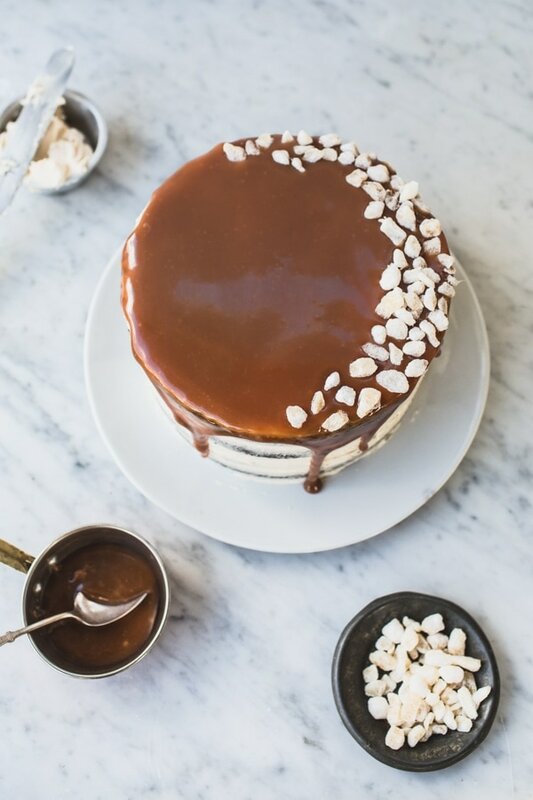 – I didn’t add the whiskey to the caramel as the cake was going to be feeding a huge range of people, some of whom may not be able to or want to consume alcohol. Crystallised ginger, , for decoration. Preheat the oven to 170°C (335°F). Prepare two 18 cm (7 inch) round, deep cake tins by greasing and lining the base with parchment paper. Heat the butter, treacle and golden syrup in a large saucepan over a low heat until the butter has melted. Beat in the sugar and set aside to cool slightly. In a separate bowl, combine the eggs and milk together. Slowly beat into the butter and sugar mixture. Sift the flour, bicarbonate of soda, ginger, cinnamon, cloves, nutmeg, and salt into the saucepan and beat until just combined. Divide the batter evenly between the 2 prepared pans and bake for 30 – 40 minutes, or until a toothpick inserted into the center of the cake comes out with a few crumbs attached. Let cool for about 10 minutes and then invert onto a wire rack to cool completely. While the cakes are cooling, prepare the icing and caramel sauce. Heat the sugar in a large saucepan over medium heat. Once the sugar starts to melt, swirl the sugar into the liquid areas of the pan without stirring. While the sugar is melting, gently warm the cream and butter in a separate pan until the butter has melted. After about 10 minutes, or once the sugar has completely melted and is a dark amber color, remove the saucepan from the heat. Immediately whisk in the warm cream and butter mixture (be careful, as the hot caramel can splash up). If the sugar solidifies, return the pan to medium heat until the mixture is liquid again. Stir in the salt and whiskey. Pour the mixture through a sieve into a heatproof bowl to remove any remaining lumps of sugar and leave to cool. Using a stand mixer or electric hand mixer, beat the butter in a bowl for 3-4 minutes until pale and creamy. Add the icing sugar and whiskey caramel sauce then continue to beat for another 2-3 minutes until smooth. Level the cakes by cutting off the domed tops (I like using a serrated knife for this) and split each layer in half so that you have 4 layers in total. Spread the first layer with a bout 1/6 of the buttercream. Make a thicker layer of buttercream like a dam (see notes) around the edges and spoon in about 2 tbsp of the slightly cooled caramel (if it is too thick to pour, warm it gently for a few seconds on the stove). Place the second layer on top and repeat the buttercream + caramel filling and repeat again with the third layer. Top with the last layer and cover the entire cake with a thin layer of the buttercream (this is called crumb coating). Chill for 30 minutes then pour over the caramel (again, warm it if it is too thick to pour, or chill if it is too runny) and decorate with chopped crystallised ginger. 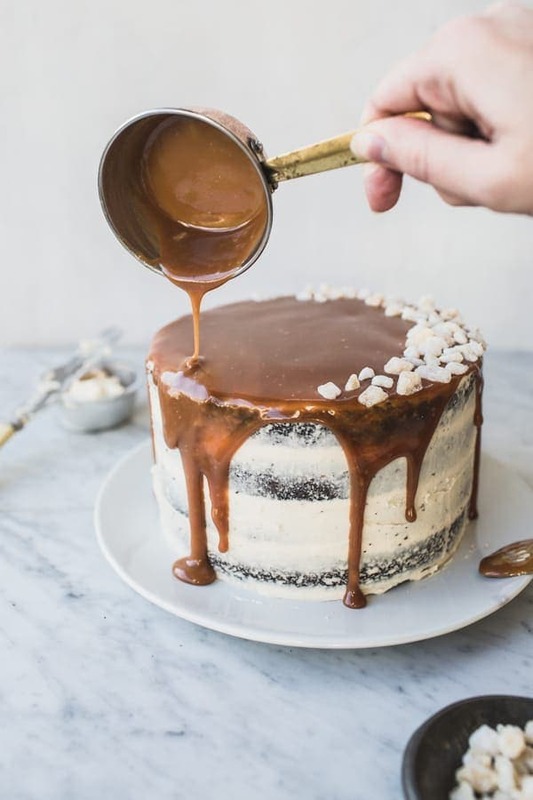 Oh god this gingerbread layer cake is all I am craving right now… especially with all that drizzled whisky caramel sauce. Seriously delicious stuff. Pinned! mmmmmm tis the gingerbread season!! this cake looks delicious. and thank you for clearing up what black treacle is!!!! i was wondering about that!!! It should be friends with your gingerbread farm!! Yeah black treacle is weird, I’d say it’s slightly thicker than molasses but it pretty much tastes the same so I sub them for each other all the time and it works perfectly. Absolutely beautiful. And looks delicious. I think I need to make it. so excited! I have a Christmas-time birthday so I’m on the hunt for a Christmassy birthday cake… this pretty gingerbread might be it. Hopefully I will be baking this delicious looking cake!! Yum!!! This holiday season I will be baking gingerbread (this cake just topped my list! ), chocolate cake, peppermint fudge, pumpkin snicker doodles and slutty brownies! I plan on making a tart of some sort. Maybe the caramel apple tart I’ve been seeing everywhere. Or an apple pie. And more donuts. Yay!! Gingerbread tips – thank you! I’m planning on baking snickerdoodles. Easiest cookie ever and definitely one of my favorites to eat! This looks divine! Absolutely perfect for my christmas party coming up. Quick question though: You say to add the whiskey caramel to the buttercream but then also say to pour it onto the cake.. I assume we are just supposed to add some of the caramel to the buttercream? Is that correct? Can’t wait to make this next week! I’m hoping to make an apple and plum crumble cake! I need to find a good recipe as I tbknm I’ve made it up in my head! But I really want to make Tunisian orange cake too, it’s my favourite ever but I’ve never made it!! I think lightly spiced with cinnamon and a teeny bit of nutmeg it would have an added festiveness! Yummy!! Im definitely adding this to my christmas menu ! gingerbread cookies, ginger molasses cookies, pumpkin bread! I’m making about five different cookies, fudge and Peppermint patties fire the holidays. So, I’m DYING over how gorgeous this cake is. This year I’m baking dark chocolate macadamia nut brownies and candy cane macaroons! Yeah Christmas cake is not my fave either.. I usually make a Yule log or something else for the 25th too! I am making a brown butter raspberry sweet bread with berries from my garden. This cake looks amazing! Dying over that drippy whiskey caramel sauce! I’m baking ALL THE THINGS for the holidays…cookies, cinnamon rolls, cakes. I’m so excited! I’ve been making loads of gingerbread reindeer cookies, and mince pies! Next week I’m going to try my own panettone (first time so hold thumbs) and some stained-glass stars for the tree! I will be baking pirukad, Estonian mini pasties. A near cousin of Chicago’s perogies, my Mum’s recipe was simply top quality gammon offcuts, finely chopped fried up with finely chopped onion, a bit of pepper but no salt – the gammon has that. I use equal amounts of bacon and onions. After frying and cooling this is the filling for small bite sized pasties, but made with bread dough, not pastry. Make up bread dough as per usual before chopping the bacon and onion, prove, and knock bac . Take a walnut sized lump of dough, roll to a circle and place a heaped teaspoon of filling on the lower half of the circle. Seal as you would a pasty. Brush with milk or beaten egg to glaze. I use a standard white bread mix, a bag bread mix when I am in a hurry. They take about 20 mins in a hot oven. Heavenly when hot or cold. A standard bag of bread mix makes about 40 pirukad. I’m going to bake a few pies and cookies with my mom! I want to try baking a plantain bread for the first time. I am planning to make my Red Velvet Cheesecake…I make it every year! Hey! Thank you for hosting this awesome giveaway. I am going to try to make this cake for Christmas!! Wish me luck! Planning on baking a cranberry cheesecake, a yule log, sticky toffee pudding, and loads of cookies.! ps – I use a hefty amount of fresh ground black and white pepper to give gingerbread cookies some bite. I will be baking tons of cinnamon rolls… my family’s favorite! In my house, it’s ALL about sugar cookies decorated with colored sugar or frosted with icing. I’m planning on baking cookies – lots and lots of cookies! However, I might have to add this cake to the list. It looks gorgeous and sounds like a combination of amazing flavours! i’m baking shortbread – yum! This cake looks AMAZING. I’ve already baked three times this week and it’s only Thursday – Cookies, cookies, and more cookies. Plus a cake or two. This looks amazing! I must make it! And we always make lots of boozy cupcakes. Mmm. white chocolate peppermint cookies, ginger snaps, peppermint bark, and THIS of course!!! I will be making fudge and now probably this cake. It looks seriously amazing! I’m planning on baking peppermint chocolate sandwich cookies, hot cocoa cookies, and soft frosted sugar cookies, and hopefully some gingerbread! I’m just planning on baking a tonne of cookies! I always make chocolate cake balls for my family’s Christmas Eve party! I was thinking some kind of fruit cake–but this is even better! Have been planning on making Molly Yeh’s hemp seed macaroon squares! I am planning to bake a Hungarian pastry, often baked at Christmas time called “beigli”. This cake sounds out of control!! You just knocked gingerbread cake out of the park. I’m making peppermint white chocolate cookies! I would love to bake this very cake – sounds delish! 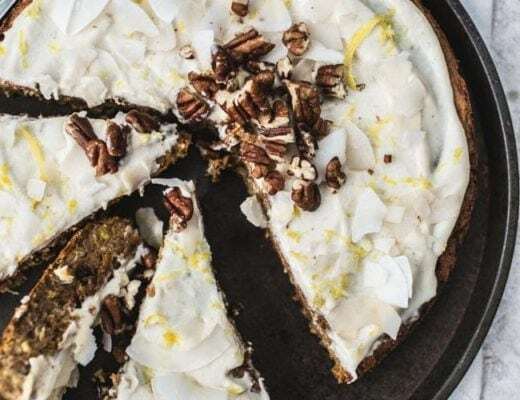 But I guess I will probably end up making my TNT – Annabel Langbein’s Orange Lightning Cake – always turns out very yum. Chocolate chip cookies, snickerdoodles, sugar cookies, pb cookies…. as well as a gingerbread trifle! The kids and I are baking cut out cookies this Sunday and I will probably bake a cake for Christmas dinner. I’m making pineapple coconut cake and red velvet because those are the yearly holiday requests. Although, I do try to tweak them a bit every year. Also, I get to pick a third desert and this is definitely something I want to try! I’m planning on baking Momofuku’s compost cookies and Ina Garten’s lemon pound cake! Whaaat, this cake looks to die for oh my gosh. Salted whisky caramel?!! Yum!! I also have issues with getting enough gingerbread flavor into cookies, so if you figure it out, let me know! Gingerbread Cookies aren’t my thing either, but cakes ? yum! I’m planning to bake rich chocolate cookies with a simple dark chocolate and mint ganache. I hope their texture to be anything but cakey or soft. It can be crisp or chewy, but never soft. cookies and cakes and yule logs and all things festive are on my mind but mainly a cake for my dearest mum’s birthday :)! this recipe is perfect because my mum loves ginger and i’m sure this cake will be an absolute hit with her and my fam!! Yay, what a beautiful cake! My holiday baking is going to consist of cookies, cookies, and more cookies — all kinds, although slice and bake shortbreads are my favorite. Thanks for the giveaway opportunity! I bake a variety of biscotti every Christmas for gifts. I was never a huge fan of ginger-y sweets, due to a really bad first impression of them (a stale, tasteless shop- bought gingerbread man that looked waaay nicer than it tasted). But this cake may just change my mind 😉 It looks so good! Over the holidays, I definitely plan to bake some sort of Christmas treat for my family- fruit mince pies, perhaps? Yummy desserts with lots of candy cane! This is too gorgeous! And whiskey caramel is kinda sorta really genius. I’d be tempted to make this cake if I didn’t already have tons of holiday baking, including but not limited to a Buche De Noel cake, shortbread, a gingerbread house, sugar cookie cut outs, and (my fav) chocolate rum balls. This cake looks gorgeous and very tempting. It’s begging me to bake it for this christmas!! This looks delicious!! I love gingerbread! This looks SO yum, I love ginger everything! I especially love how gingerbread short cakes get that dense sticky layer on top, definitely the best bit. For Christmas I was planning to bake some gorgeus nutella brioche and different sorts of fudge, but now I’m definitely going to make this too! Cutout cookies. Even tho my kids are grown, they HAVE to have cutout cookies when they come to mom’s house! this looks so delicious!! I’m gonna bake cupcakes, make fudge with my Aunt & bake some cakes! Thank you for the chance to win! For the holidays, I’m planning on baking a batch of White Chocolate Gingerbread Blondies. I’m planning on making pandoro and then splitting it into layers and making a filling of whipped cream and mascarpone. this is all sorts of beautiful! I want to be obsessed with the book too !! Aaaaaaaand for the holidays I’ll try to make chocolate-covered marshmallow bears as gifts and probably some bredele – traditional christmas biscuits of Alsace, east region of France…. DAMN I’M HUNGRY, wish I could rush to my kitchen right now !!!! For the holidays I will be baking and happily decorating G-men, a.k.a. Gingerbread Men! This gingerbread cake is the holiday cake of my dreams! I’ve already started my holiday baking with some sugar cookies and an amazing pumpkin cake but I’m looking forward to some serious gingerbread and chocolate bark as well. Tonight I’m baking three kinds of cookies for a cookie swap party – brown sugar toffee cookies, double chocolate cream cheese cookies and snickerdoodles! I’ll be making pavlova, of course! No such thing as Chrissy without a good pav. I cannot wait to start the Holiday baking. I love all things gingerbread! This cake is gorgeous! Not necessarily anything, since I won’t be home. But if someone needs me to step up, I won’t mind! I plan on baking oatmeal chocolate chip cookies for my boyfriend and his family, who are graciously hosting us over the holidays! I plan on baking a ton of christmas cookies with my mom and sister! Lots of yummy treats – brownies, lemon meringue pie and now this cake! I’m making my dad his favorite fruit cake! I’m going to attempt tackling Molly Yeh’s gingerbread farm, and then make about a million gingersnaps sandwiched between dulce de leche! Thanks for offering such a great giveaway! Oh my, I want to bake this cake it looks wonderful…I think the book will have to be added to my Christmas wish list! I was thinking of gingerbread cake for an office party on Monday. This one would be perfect! Thank you! Oh, that looks wonderful, but I think I am going with Justin Gellatly’s ginger cake tomorrow as planned;-) I do love your recipes! I plan on baking plenty of biscuits: shortbread, sugar cookies, ginger biscuits, spice cookies, etc. I plan on baking lots of gingerbread and also my personal favorite – Italian wedding cookies dipped in chocolate! Ohhhhh that caramel!! This cake is such a stunner! This cake looks beautiful, Izy! Love gingerbread and yet I’ve never made a cake with it! This one looks beautiful and tasty. For the holidays I will definitely making a variety of cookies but also I have an amazing sticky toffee pudding recipe that I’ll be whipping up as a decadent dessert! Aaahh this cake looks gorgeous!! I totally want to try this out for the holidays! I think for this holiday season it’s going to be gluten-free vegan brownies and raw vegan cheesecake! I’ve already made a bunch of cookies, but I’ll still make more with my mom. I also want to make some fancy marshmallows and other candies…I’ve got loads of ideas. Oh yes, I totally agree: ginger cake over cookies any day! And the darker and stickier the better! This looks like a masterpiece. I’m so excited to make my christmas gingerbread ckae this year. This cake sounds insanely good! That caramel is KILLING me. I’m baking this for our work holiday party! YUM! This cake is gorgeous!! I may have to try baking it for my work holiday party next week! yum!! This cake sounds amazing and it’s beautiful to boot! I’m currently living abroad (in Indonesia) and the baking possibilities are minimal. I have made some chocolate chip banana loaves and I am going to attempt to some shortbread too. This cake looks so yummy, all the flavors are totally delicious. April Carter is the best, I saw several recipes on Cooked. This book is an amazing giveaway. Thank you so much Izy! I want to bake some biscotti and also make some fudge. This is a ridiculously good looking cake Izy, I’m sure it tastes amazing too! Wow, noit only does it look stunning I bet it tastes amazing, I LOVE salted caramel and now that combined with whiskey and gingerbread, yum! 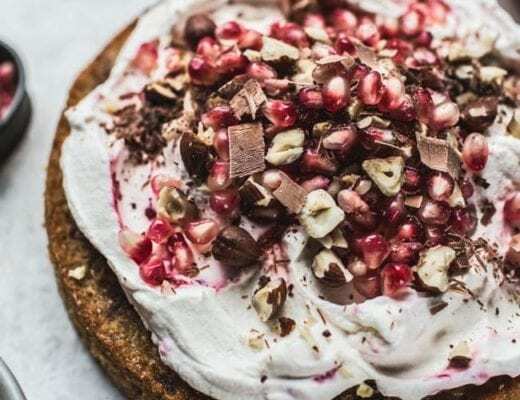 i am planning to bake a festive cake with a nutty top as i love this go-to recipe and some ginger cake for my hubby’s work, however seeing this recipe now i have all sorts of ideas. It’s not really baking, but I’ll be making Christmas pudding ice cream cakes! It’s too hot in australia to have the oven on for long!! This cake looks both pretty and indulgent 🙂 I am planning on making a vertically layered eggnog cake, decorated with a small gingerbread house and xmas tree on top. This cake looks amazing! And it would be perfect for a Christmas party. It looks delicious with that pretty caramel! mmmm, looks delish! Must have been a hit at the party. biscotti, slice and bake cookies,spritz cookies and snickerdoodles. This cake looks gorgeous! I’m going to try it and I bought a new book called ”Chocolate vegan” and there are so many recipes that look great…: I planned truffes, cakes, hot cocoa and lots of other stuffs! Looks delicious! I made some christmas cookies this week and used 1 tablespoon of ginger powder (you know, the drie, ground stuff) and 2 tablespoons of ginger syrup plus a teaspoon of cinnamon. They turned out spicy and soft, even better that I expected! I am terrified of layer cakes! They lean and topple, and not in that trendy Alice in Wonderland way. I guess I will just have to get over it and make this cake. But not today. Today is all about norwegian cookies: sandbakkels, goro, fatigman, and krumkake. I feel like I have a cardamom deficiency that must be alleviated. Mm this cake looks delicious! Could consider as one of the options for the Christmas dessert! I am thinking of making a clementine cake, mashed potatoes with cream cheese, honey glazed ham and stewed sauerkraut salad. I love playing cake monopoly! 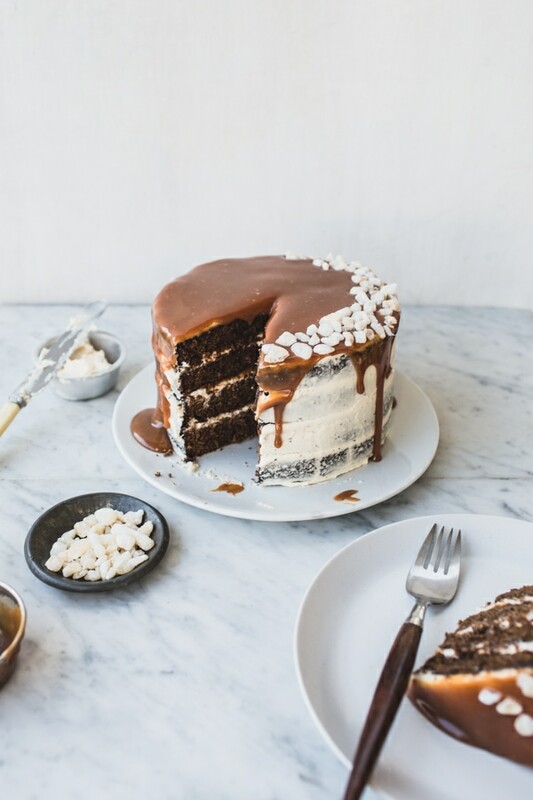 It’s like, “oh, let’s be friends and bake a cake together,” and when we’re in the kitchen I’m all “HANG ON YEAH LEMME JUST DO ALL THESE THINGS AT ONCE AND DON’T TOUCH THE MIXING BOWL PLZ.” Still, I’m glad you did, because this cake looks fanfanfanaaaantastic! Just the syrupy dense stuff I love in gingerbread cakes! Every year, my family and I line up like an assembly, and churn out tons of cherry balls, our traditional holiday cookies that’s basically a sugar cookies surrounding a maraschino cherry and topped with vanilla frosting. I always look forward to baking chocolate dipped coconut shortbread cookies. I am baking a ton of different cookies this year and other treats like bark, fudge, and homemade marshmallows!! During the holidays I always bake a plethora of cookies and other goodies for friends/family/neighbors. Lately I’ve been making cinnamon rolls, truffles, gingerbread men, and peppermint chocolate cookies. Gingerbread tastes so much like the holidays. I hope to bake a spicy one! It’s BEAUTIFUL. omg. But that drizzle shot at the beginning…… yes. You are seriously my baking idol! We usually just make a ton of cookies.. yesterday I made peanut butter oatmeal with crushed candy canes! I never baked ginger bread cake so this would be a great way to start. Amazing, it looks divine and I’m sure it tastes just as good as it looks. I baked your Swedish chocolate cake for Christmas and it didn’t even last one whole day. I had many compliments, thanks girl! Yum! This looks delicious!!! I’m planning on making molasses and peppermint chocolate cookies for a cookie swap! I’m already baking red velvet cake, oreo pecan pie, and a pumpkin caramel turtle pie, but this looks and sounds amazing and perfect for the office Christmas party next week. I’m not very good with cooking, so my role during Christmas’s always to bake something nice. I’ll probably make some fancy version of cinnamon buns, e.g. with more christmas-y spices. And maybe a soaked with rum bundt cake with chocolate drops! Love gingerbread and love your cake… Lucky boyfriend! I’m going to bake a panettone for this Christmas: finger crossed! Rosemary shortbread and Ginger molasses cookies are on my list so far. Also thinking about a pear tarte tatin! Aaahhh so glad I found this recipe! I’ll be making this cake for my Mom’s birthday in January (and the Chocolate Caramel Tart from Diner Journal for my Dad’s at the end of this month.) Thank you! seriously WOW!!!!! I am half way through making this cake. Cake turned out so beautiful. Filling the house with wafts of ginger and spice. Soft, fluffy, deep. Caramel sauce- thought I’d burnt it a bit but with the whisky ( jamesons my fav. Tipple of the moment) and some smoked sea salt has taken it to another level!! Haven’t even done the buttercream or compiled the cake but both individual components are just seriously divine. Well done on a fantastic recipe! Recipe a try…..my mom was Finnish and she always talked about eating gingerbread at the holidays. I’m glad I found your blog! I can’t wait to make this! 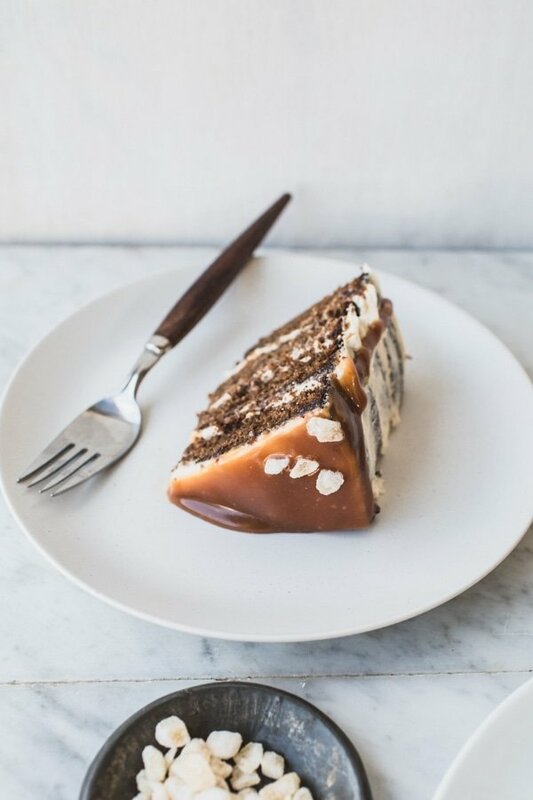 It looks amazing, and will satisfy both my salted caramel fix and my gingerbread craving! Making white-chocolate peppermint cookies, a cranberry -swirl cheesecake, maybe Ina Garten’s pecan bars, maybe David Leibovitz’s ginger cake. And thinking of a gingerbread cake and cheesecake mashup, like cream-cheese brownies but with cheesecake… Have you tried Martha Stewart’s chocolate-gingerbread cookies? She puts fresh ginger in them and I think they have a nice, but tolerable heat. I am making no bake funfetti Christmas truffles and a chocolate pumpkin cheesecake cake! 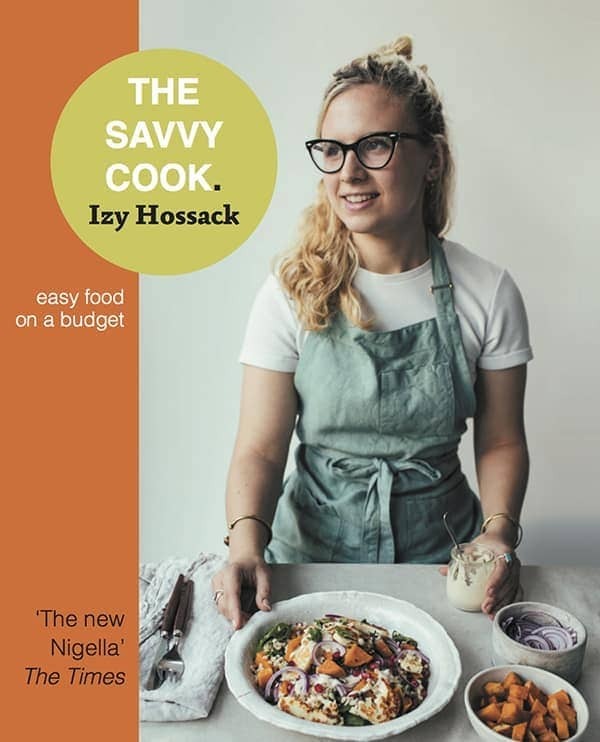 Once I am off work I am going to browse the food blogosphere for new recipes to try…can't wait! I’m making a bunch of cookies! I’ve already made a gingerbread cake for a Christmas party. I am definitely baking this cake for Christmas! I bought golden syrup but I could not find black treacle (I live in France). What can I use instead? Only golden syrup? Maple syrup? Honey? thumbprint cookies. 🙂 this cake looks divine! My favorite things, whisky, caramel, and gingerbread. YUM! My mom’s sweet potato souffle! I will make some chocolate filled treats and cupcakes and maybe a cake if I find one I like! Will definitely give this one a go! Christmastime is all about cookies for me, but this cake looks fabulous. brown butter bacon fat shortbread cookies! I made this for Christmas (yesterday). The cake was everything I expected and more. It’s a keeper for sure! The only problem I had was the caramel sauce. I had to make it twice, first time the sugar did not melt…I added about 1 1/2 tablespoons of water with the sugar to start and turned out wonderful! It is the best caramel sauce I have ever had. I will made it again just to have on hand for a dessert sauce. I used Maker Mark by the way. Thank you so much for the time and effort you put into the recipes and for sharing. I found this recipe through Pinterest. Happy New Year! I saw this picture on Pinterest I think and absolutely had to make it. The bf got me a KitchenAid mixer for Christmas so this gorgeous confection was its inauguration, and may I just say…perfection. It was the most beautiful thing I have EVER made. Took me 4.5 hours, but it was perfect. This is amazzzzzing!!! Thank you for sharing! 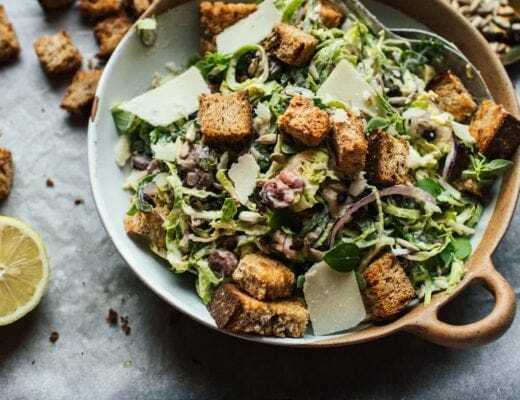 Wow, your blog looks amazing and so does your recipes! Gingerbread, whiskey, caramel AND cake all in one? I think I’ve died and gone to heaven. This cake looks beautiful. I’ve never had gingerbread cake but you’ve got my taste buds interested! I made this today and it came out great! It actually looks just like your picture. The cake was really easy to make as you don’t need a mixer and the layers did not dome very much. They were easy to split in half and then the layering and frosting went very smoothly. It is delicious! Sweet, but not overwhelming, great balance of flavors. It will be one of my favorite layer cakes. Thank you!